An estimated 4 in 10 Americans are deficient in vitamin D, but it's simple to test for, and simple to treat. We’re fortunate in the United States that we see relatively few cases of severe vitamin D deficiency — rickets — which causes delayed growth and visible skeletal deformities in children. However, that doesn’t mean that vitamin D deficiency is rare. In fact, an estimated 4 in 10 Americans are deficient. That’s concerning, because the potential health consequences of vitamin D deficiency are serious. Not only is a lack of vitamin D linked to osteoporosis, heart disease, diabetes, autoimmune diseases, high blood pressure, polycystic ovary syndrome and poor pregnancy outcomes, but it may increase the risk of developing metabolic syndrome. Metabolic syndrome is a cluster of conditions — high blood pressure, high blood sugar, excess body fat around the waist and abnormal levels of cholesterol or triglycerides — that happen together, increasing the risk of heart disease, stroke and diabetes. New research has found that postmenopausal women who are deficient in vitamin D are more likely to have metabolic syndrome, and previous research has found similar associations in both men and women. Living in northern climates, where winters are longer, colder and darker. Dark skin. The darker your skin, the more sun it takes to make vitamin D.
BMI (body mass index) over 30. Vitamin D can become “sequestered” in excess body fat instead of making its way to the bloodstream. Diseases that may interfere with absorption of dietary fat and vitamin D, which is a fat-soluble vitamin, including celiac disease, Crohn’s disease and ulcerative colitis. Previous gastric bypass surgery, which can also prevent adequate absorption. According to the Vitamin D Council, symptoms of vitamin D deficiency can be subtle — or even nonexistent — in the early stages. Symptoms like tiredness and general aches and pains are easy to dismiss, because many things can cause them. Aches and pains could be the delayed onset muscle soreness from yesterday’s workout or a day spent doing heavy gardening. Tiredness could simply be due to lack of quality sleep. If deficiency worsens, symptoms can become stronger. General aches and pains may become muscle and bone (musculoskeletal) pain — severe vitamin D deficiency interferes with replacement of old bone tissue, leading to softening bones (osteomalacia), which causes pain as well as increasing the risk of osteoporosis. Tiredness may progress to muscle weakness. Still, these symptoms can easily be attributed to any number of health issues. Since symptoms of vitamin D deficiency can be hard to pinpoint, if you’re concerned about your vitamin D status, talk to your doctor. A simple blood test can measure your levels of 25-hydroxyvitamin D, but be aware that this test isn’t always covered by insurance. There’s no definitive standard for deficiency, but 30 ng/ml is a common cutoff. The Vitamin D Council says a level of 50 ng/ml is optimal. The two main ways to get vitamin D are by exposing your bare skin to sunlight and by taking vitamin D supplements. Unless you like cod liver oil, it’s almost impossible to meet your body’s needs for vitamin D with food alone — more than 90 percent of Americans don’t. Many dairy products are fortified with vitamin D — read the label to be sure — but milk sales are in decline, as more people avoid dairy due to restrictive diets, milk allergies or lactose intolerance. 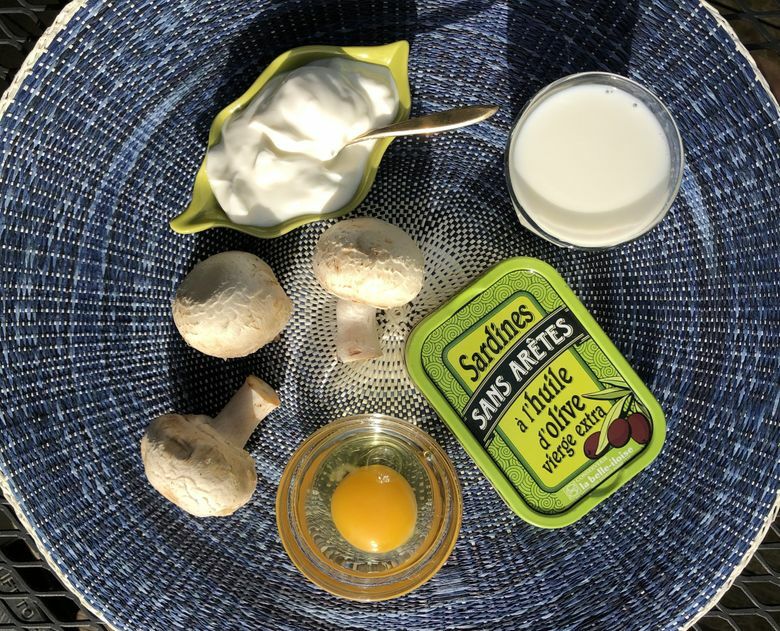 Fatty fish, egg yolks, fortified orange juice and cereals, mushrooms and beef liver also contain some D.
If you want to get more vitamin D from your food, your best bets are salmon — and sardines. If you are a sardine novice, try them in place of tuna (just mash with a fork) in your favorite tuna salad recipe, or chopped and mixed with white beans, capers and some olive oil. You can also mash some sardines and avocado, mix together, and spread it on toast or crackers. Like salmon, sardines are also a great source of heart-healthy omega-3 fats. If you go the sun route, the safest way is to expose your bare skin to sunlight for around half the time it takes for your skin to begin to burn. However, most people — especially those who prefer to avoid the sun or who live in a cold climate — supplements are the most convenient solution. The Vitamin D Council recommends taking vitamin D3 (cholecalciferol), rather than D2 (ergocalciferol), because we may absorb it more easily. The recommended daily allowance (RDA) for vitamin D is 600 IU per day for adults, but some experts recommend more, with the most common recommendation being 1,500-2,000 IU/day. The bottom line is that vitamin D isn’t a magic panacea, but since it has been implicated as a factor in many serious health conditions, it’s worth knowing where you stand, especially since deficiency is simple to test for, and simple to treat.